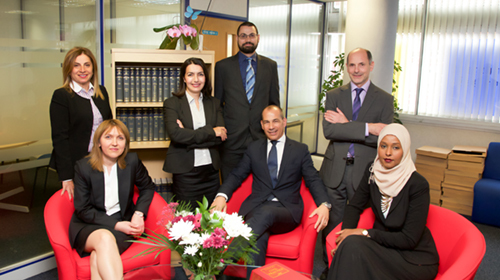 Miya Solicitors was founded by six solicitors who recognised the need for a niche Law Firm which would be able to serve both the local and broader community in a highly accessible way with lawyers who can communicate to clients in their own language . Miya Solicitors and its lawyers are proud to be part of the community and aim to provide a first class service to clients. Each client is highly valued and will be treated as such no matter how large or small their legal problem is. We aim to make the law process simple and easy to understand so that our clients' experience is made as easy as possible in what is often a stressful time in their lives. We are not part of big corporate body and are proud of our independence. We are a team of over 30 who speak numerous languages and which include many highly experienced and successful solicitors some who have been working in their fields for over 20years. We are confident that we can make all the difference to those who would otherwise find the legal world a daunting place. We invite you to learn more abut us , our teams and solicitors to see if we can be of immediate service. We are authorized and regulated by the Solicitors Regulation Authority. Several of our Personal Injury lawyers are members of the Law Society's Personal Injury accreditation scheme.